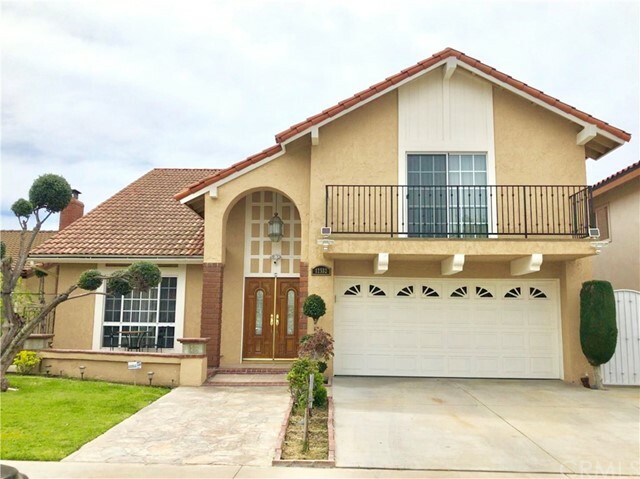 All Cerritos homes currently listed for sale in Cerritos as of 04/20/2019 are shown below. You can change the search criteria at any time by pressing the 'Change Search' button below. 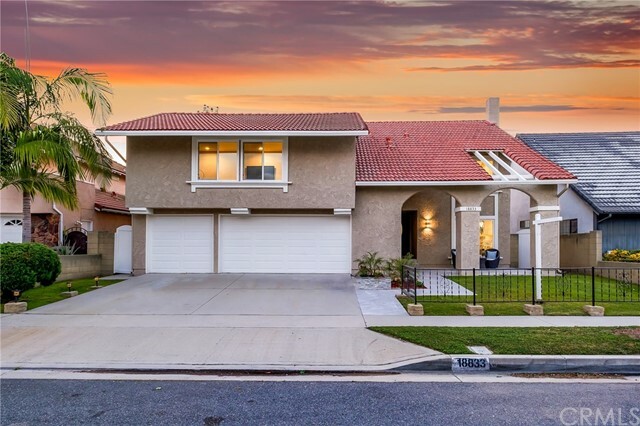 If you have any questions or you would like more information about any Cerritos homes for sale or other Cerritos real estate, please contact us and one of our knowledgeable Cerritos REALTORS® would be pleased to assist you. "On the corner of Shoemaker Ave and South street. This listing on Jeffrey Rd, of its size and capacity, is the first to be on the market for two years! With 4 bedrooms, 5 bathrooms, and 3464 sqft of living space, this Contemporary Style house s exterior and interior is a sight to behold. The door opens up to a very open and double-height living room, which provides marvelous lighting, with a classic marble fire place. The dining room has crystal lights and double French doors leading to the well maintained backyard with BBQ place. An open concept kitchen with lots of counter top and storage, a family room with fireplace and an additional access to the backyard. Downstairs also includes a suite, bathroom, laundry and access to the garage. Leading to the second floor are the stairs which connects to an overarching glass embedded hallway with an aerial view of the downstairs. Upstairs has three bedrooms and a spacious loft. The high ceiling Master Bedroom features an unsuited with two walk-in closets, two personal single vanities, and a separate tub and shower. Opposite to the Master Bedroom is the high ceiling loft, which contains a separate restroom and adjoins a single bedroom and another suite. 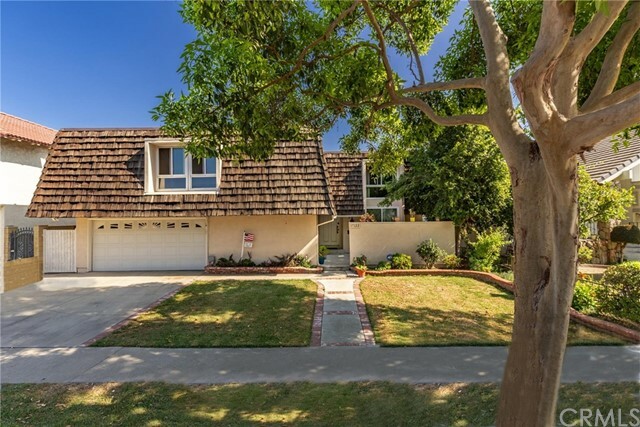 This highly sought-after location resides just footsteps away from Leal Elementary School and very close to Cerritos High school, within the Award Winning ABC Unified School District." "This 4 bedroom, 2 bath home is ready for its new owners to cherish, or create a custom home on this spacious lot. Upon entry of the home, you will be caught staring at the vast and beautiful garden, through the living rooms widespread glass doors. The living room is central to the house, and its adjoining patio allows for the blend of indoor-outdoor living. To the right of the living room are 3 bedrooms and 1 bath. To the left of the living room is a formal dining room, large open kitchen, and the 4th bedroom and 2nd bathroom. The 4th bedroom is adjoined with a small living room, making this the perfect guest suite. Some other features of the home include marble kitchen flooring, newer kitchen cabinets, granite countertops, wood and laminate flooring, and crown molding throughout. This home is a beauty, ready for its new owner! 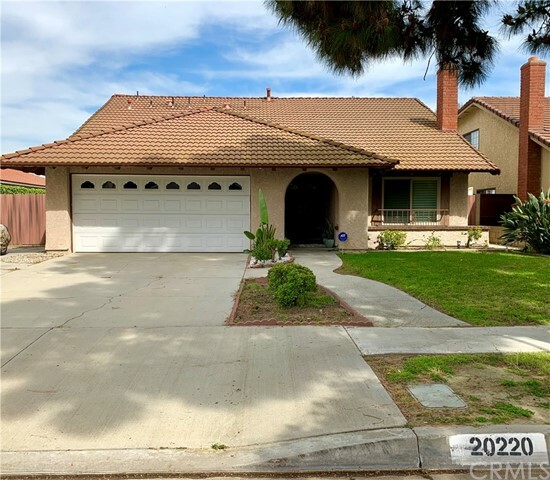 (Tax assessor shows this house as a 3bd/2ba and 2,024 sqft; it is currently being corrected with tax assessor to a 4bd/2ba and 2,409 sqft)"
"ABC Schools (Cerritos /Whitney). One of Cerritos's best areas. 4 Br 3,154 sqft. 7724 sqft lot. End cul-de-sac location. Bright & sunny, easy flowing, open floor plan. Includes 1 bedroom & bathroom downstairs. Huge BONUS room above 3 car garage (5th/6th bedroom, master, or game room). NEW double pane windows & sliding doors (not shown). Granite floor entry, cathedral vaulted ceilings, elegant chandelier, Newly Pergo wood laminated spiral staircase. Engineer wood in sunken living room, dining room, upstairs hallway & bonus room. FAMILY ROOM includes ceramic tiled floors, fireplace, wet bar. Remodeled KITCHEN includes NEW 6 burner stove & hood, ceramic tiled floors, granite counters and master island, including walk-in pantry & breakfast nook. Independent Laundry room accesses the 3 car garage. UPSTAIRS: double door master suite with marble fireplace & floors, walk-in closet and plenty of mirrored closet space. Master bath features marble flrs, dual sink vanity with oak cabinets, sunken oval tub, separate shower stall with ceramic tile surrounds and privacy toilet. Two additional upstairs bedrooms with wall to wall mirrored closets. Shared upstairs bathroom includes dressing area with dual sink vanity and private bathroom / toilet area. The relaxing back yard is accessed through sliding doors in the dining & family rooms. Fruit trees (Avocado, Papaya, Guava, Peach, Persimmons, lemon, lime others). Professionally landscaped, brickwork and sprinklers throughout." 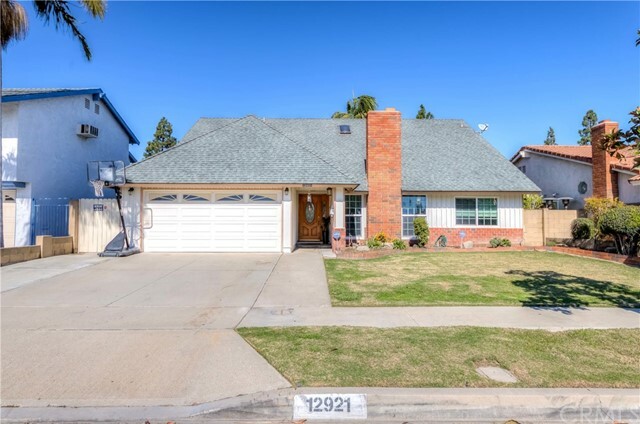 "GREAT NEW PRICE,PRIME CERRITOS LOCATION WITH ALL TOP RATED SCHOOLS: Whitney High contender, Cerritos Elementary,Carmenita Middle & Cerritos Hi, this custom-built home has it all! Inviting wrought iron fencing,new iron dual entry door,marble tile veneer,and a spacious front courtyard.Open setting at living & formal dining room is unequivocally phenomenal: Immaculate marble floor@formal foyer,walk wall full of mirrors,custom-built marble fireplace with imported Italian tile wall and custom crown moldings.2nd marble fireplace,customized with rose gold mirror wall, locates in family room.The gorgeous gallery kitchen features granite countertops,ample solid Oak cabinets,built-in wine-rack,China cabinets,large pantry,built-in spice rack,new 5-burners stainless steel stovetop,double deck oven&Lazy Susan.Master bedroom embodies a masterpiece of luxury living with cathedral ceiling over an elegant master retreat, a marble fireplace,an elevated sleeping quarter with radiant skylights above plus built-in drawers & large storage space below.Master bathroom is showcased with separate Jacuzzi tub & standing shower,exquisite marble bath wall and flooring, and skylights soaring above.Bonus room upstairs comes with a wet bar and opens up to a refreshing deck.The wonderful backyard is equipped with built-in Barbeque Island and a large open patio. Other luxurious features: Copper plumbing,central vacuuming system,dual pane windows & doors,inside laundry, etc...Make this dream home yours today!" "Gorgeous semi-custom, Tutor-style 4 bedroom, 3 bath home with 2,773 sq ft of living area. Wonderful, upscale neighborhood. Over $95,000 in upgrades since 2003. Lot size: 7,144 Sq Ft. Built in 1985. Large family room with fireplace and custom bar. Large kitchen with Jenn Air electric 4-burner downdraft cooktop with griddle and adjacent eating area with bay windows. Large master bedroom & bath with jacuzzi tub. Main bath with double sinks. Lovely living room with pocket doors that could be used as a downstairs bedroom. Downstairs bathroom with shower. Dual pane windows. Copper plumbing. New tile roof in 2004. Beautiful yards with lovely landscaping, brick driveway/walkway, brick decorative planters and accents. Large side yard for a small RV, small camper or small trailer and also room for a small boat. Decorative gate. Oversized, 2 car-garage. Excellent ABC School District. Cerritos High School and Whitney school areas." 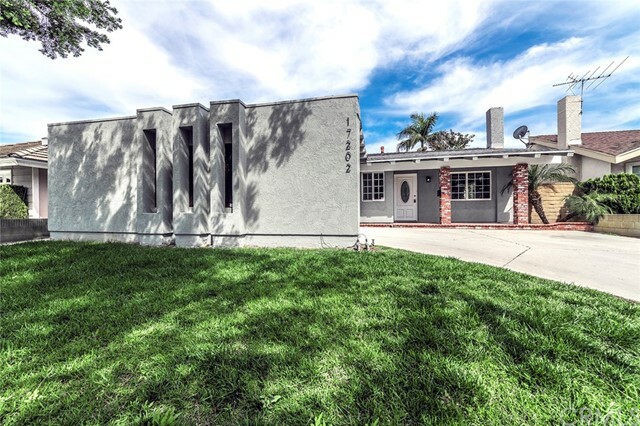 "Beautiful Cerritos 5 bedroom house with pool and spa on extra large lot located at end of cul-de-sac just north of Joe A. Gonsalves Park." "A Rare Gem In Cerritos! 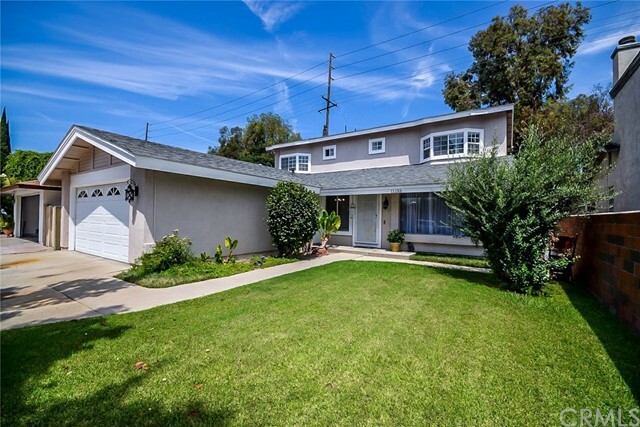 Newly Remodeled 4 Bed 3 Bath Green Brook Space Maker 1 Model in desirable neighborhood of Cerritos. 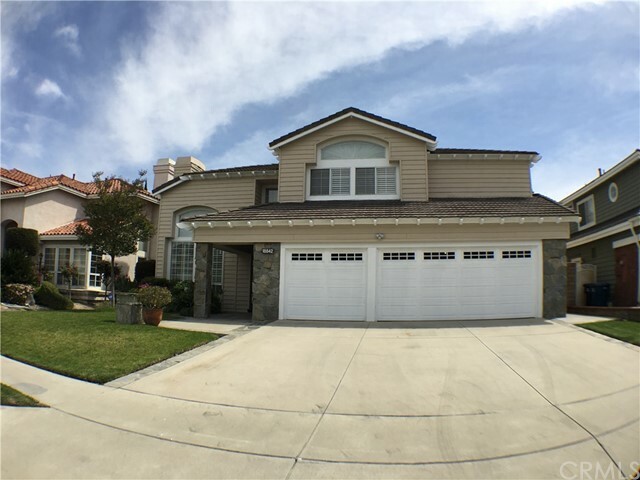 Stunning Two Story Home Boasting 2,649 sqft on a 5,823 sqft Lot In Prestigious ABC School District: Whitney HS, Cerritos HS and Leal Elem. Captivating Entrance with Vaulted Ceilings, Beautiful Chandelier, Modern Handrails, Contemporary Fireplace, and Open Floor Plan. Formal Living Room, Dining Room, Family Room, Plus Huge Bonus/Entertainment Room That Can Be Used As A 2nd Master/5th Bed. State Of The Art White Kitchen with Quartz Countertop, magnificent Backsplash, Under Cabinets Lights, New Stainless Steel Appliances, Shaker Cabinets with Soft Close Doors and Huge Sink. Upscale Wood Laminate, Tile and Marble flooring, New Double Paned Windows, New Front and Patio Doors, New Interior and Exterior Paint, LED Recess Lights with Dimmers. Master Bedroom with huge Walk-in Closet, his and her sinks and vanity area. Master Bath has beautiful Marble Tile and Rain Showerhead. Serene Landscaped Back Yard Perfect For Lounging And Relaxation. Oversized Three Car Garage With Ample Storage Space, Direct Access, and Laundry Area. 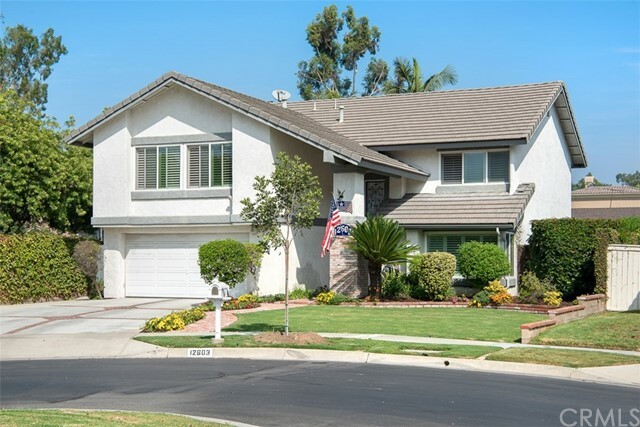 Walking distance to Cerritos Library, Schools, Heritage Park and 5 min drive to Cerritos Mall, Town Center and Freeways. This Delightful Home with Perfect Curb Appeal Desired for Luxurious lifestyle has been tastefully remodeled and featured in American Lifestyle Magazine. This Is A Must See, Turnkey, Entertainers Dream, And Will Not Last!" "Huge Price Improvement!!! Liddington St. is a truly fantastic two story home nestled in a great cul-de-sac, in the highly sought after, and exclusively gated community of Shadow Park. This incredible footprint offers 4 spacious bedrooms, with 2.5 bathrooms, in addition to a spacious living room, and formal dining room, a huge kitchen, with a spacious bonus room with a direct access 2 car garage. This charming home has a lot to offer as it includes modern paint, a custom lead accented entry door, scraped ceilings, updated laminate flooring, custom stained glass windows along with a majority of updated dual pane windows and doors, in addition to updated light fixtures and ceiling fans throughout, mirrored wardrobe doors and some beautiful built in bars for entertaining. The remodeled kitchen offers granite countertops, custom oak cabinets and modern black appliances and so much more... The grounds make up approximately 8,253 Sq.Ft. and the cul-de-sac location offers a huge backyard with a relaxing pool and spa, custom brick work with a fantastic custom covered patio area for entertaining. This is an incredible home and it's priced to sell!" 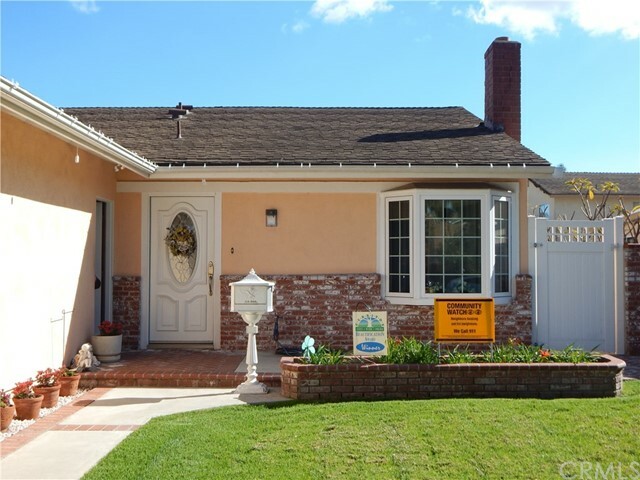 "Very Well Maintained Ponderosa Home Located in the Prestigious Shadow Park in Cerritos. Newer Interior and Exterior Paint. Copper Re-Piping Inside the House in 2010. Entryway with High Ceiling and Additional Window to Illuminate the Sunlight. Bright and Airy Living Room. Formal Dining Room. Spacious Family Room with Fireplace and Sliding Doors Leading to the Backyard. Large Master Bedroom with Walk-in Closet. Master Bathroom Well Designed with Double Sinks. Central Air Conditioning and Forced Air Heating. Convenient Inside Laundry Room. Private Backyard with Covered Patio Great for Entertaining. 2 Car Attached Garage with Roll-up Door. Attractive Curb Appeal. South Facing. Gated Community with 24 Hour Main Gate Security Guard, Emphasized with Association Amenities of Pool, Spa, Tennis Court, Basketball Court, Volley Ball Court, Playground, Club House and Parks. Acclaimed ABC School District with Ranked Top 3 in California Whitney High (7-12 Grades) Admittance Through Entrance Exam. 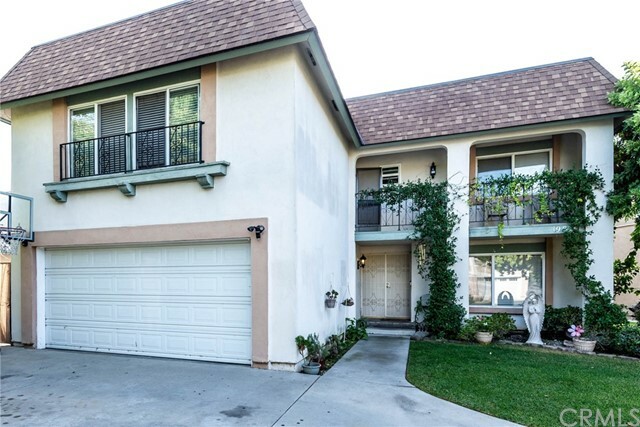 Minutes to Shopping, Freeways, Transportation, Restaurants, Renowned City Library, Performing Art Center, Los Cerritos Mall, Towne Center, Auto Square and Cerritos Regional Park." "Welcome home to this beautiful 2 story pool home that sits at the end of a cul-de-sac. This amazing home boasts 5 bedrooms and 3 full baths and is the home you've been waiting for. This peaceful, quiet, and safe neighborhood is just minutes to great ABC schools. As you enter the home you'll be received with porcelain tile in the entry way and beautiful laminate flooring throughout. There is a large open living room and a spacious family with a cozy fireplace you can enjoy year round. The kitchen has granite counter tops and a breakfast bar. The dining room is spacious and can be perfect for entertaining family and friends. There is a large bedroom adjacent to the family room that makes a great guest room or office. As you go upstairs you'll find a large master suite with master bath and large walk in closet. The 3 other rooms are spacious and have large closets and windows. Other features include double panned windows with lifetime warranty, A/C and furnace upgrades, beautifully landscaped front yard with a beautiful pool in the back that is perfect for entertaining. This home is conveniently located to great schools, restaurants, shopping, and recreation. Don't forget great access to freeways and public transportation. You won't want to miss out on this one!" "The most popular Greenbrook 'Granada' home with the bright and Open floor Plan.South facing.One bedroom with One bathroom downstairs,4 bedroom 2 bathroom upstairs,Inviting double door entry,Step down Living room Bright and airy with cathedral ceiling,Chandelier in dining room negotiable,Vaulted Ceiling In Living Room and Master bedroom. 2 fireplaces, central air conditioner,wet bar,dual sinks in two bathrooms, recessed lights have been added to some of the rooms,Jacuzzi in master bathroom,swimming pool with security gate for the safety of the kids,Low maintenance yard,built in BBQ in the back yard,and many many more........But the owner believe the special value of this property is at 1) Room Expansion by 180 sqft which makes the total size of the living space as 2787 instead of 2607 sqft of all the other original Granada Home which will bring up the appraisal value over the original model(refer to the image # 18/19. Perfect privacy;--There is no upstairs windows from the back line neighbors looking down into the back yard of this property. (refer to the image#31/32/33/34/35).South facing and pool in the back yard makes this home much more cooler than most other properties in hot summer." 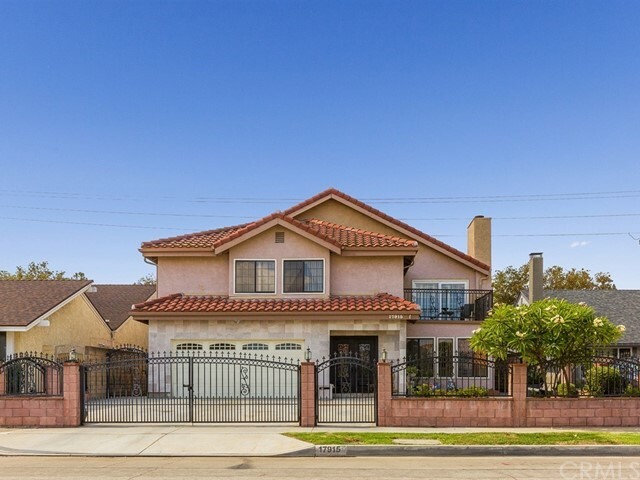 "This property is a gorgeous two story home located in the highly desired city of Cerritos. This 6 bedrooms 3 baths plus a den home has approximately 2,688 sf of living space with great features. This home has a bright and beautiful open floor plan. The first level includes 3 bedrooms and 2 baths plus a den, one of the rooms is the master bedroom with bath. The second level includes 3 bedrooms and 1.5 bath plus a loft area with a skylight above. (half bath is not permitted) This two story home offers a large entry foyer leading to the formal living room with a fireplace. There is also a wet bar on the low level. The kitchen has lots of cabinet space and opens up to the family room, which is perfect for entertaining. The kitchen and family room can also be viewed through the backyard. Both the front and backyard has been beautifully manicured. The expansive backyard features a large grass area, fruit tree with a covered patio. 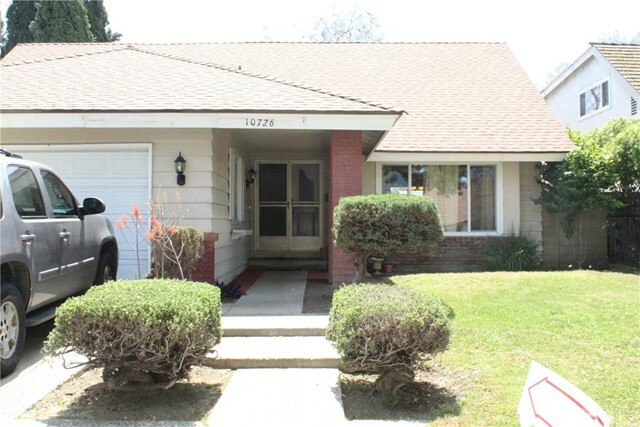 Additionally, this property is close by two parks, the Frontier and Cerritos Park. It is also close to the 91 freeway and the town center shopping mall. Walking distance to Wittman Elementary School and the prestigious Whitney High School. Do not miss out on this opportunity!!" "GREAT S&S HOME IN CERRITOS ** BEST LOCATION ** WALKING DISTANCE TO CERRITOS HIGH SCHOOL ** LIBRARY ** TOWNE CENTER ** SHOPPING ** TRANSPORTATION AND PARKS ** DUAL PANE WINDOWS AND SLIDING DOORS ** UPGRADED FRONT ENTRY DOORS ** LIVING ROOM WITH CATHEDRAL CEILING ** MAPLE WOOD FLOORING THROUGH OUT ** LARGE KITCHEN WITH WALK IN PANTRY ** BREAKFAST COUNTER OVER LOOKING FAMILY ROOM WITH FIREPLACE ** FAMILY ROOM WITH SLIDING DOORS LEADING TO THE BEAUTIFUL POOL ** LARGE MASTER BEDROOM WITH WALK IN CLOSET ** SPACIOUS BONUS ROOM ** SPANISH TILE ROOF ** NEWER EXTERIOR PAINTS ** NEWER A/C UNIT ** 2 CAR GARAGE WITH DIRECT ACCESS ** OPEN AND SPACIOUS FLOOR PLAN ** INSIDE NEEDS SOME UPDATES ** ABC UNIFIED SCHOOL DISTRICT ** MUST SEE!!!" "PRICED TO SELL! Wonderful family home in a great neighborhood! This 5BR and 3BA home is tucked away at the end of a cul-de-sac. The large 5th Bedroom is currently being utilized as a bonus room, but it does have a closet. The double door entry leads to carpeted formal living and dining rooms. A large tiled family room features a fireplace and a sliding glass door to the backyard. The kitchen sits perfectly in the middle of the main floor, with upgraded counters, a large walk-in pantry, recessed lighting, and beautiful newly upgraded stainless steel appliances. A large window opens to the backyard. A charming powder room and large laundry room with storage cabinets complete the first floor. Up the atrium style staircase, you will find four bedrooms and two bathrooms. The generous Master BR has plenty of room for furniture and extra seating. An en-suite bathroom and walk-in closet complete the Master retreat. Three additional bedrooms and a huge bonus room with a balcony allow for plenty of family living space. The oversized backyard has a covered patio and multiple fruit trees, including avocado, orange, blood orange, lemon, lime, apricot, and Granny Smith apple. There are roses and Plumeria, too! A newer roof, new side-yard gate, updated water softener, and Low E2 windows are just some of the upgraded features in this quality home." 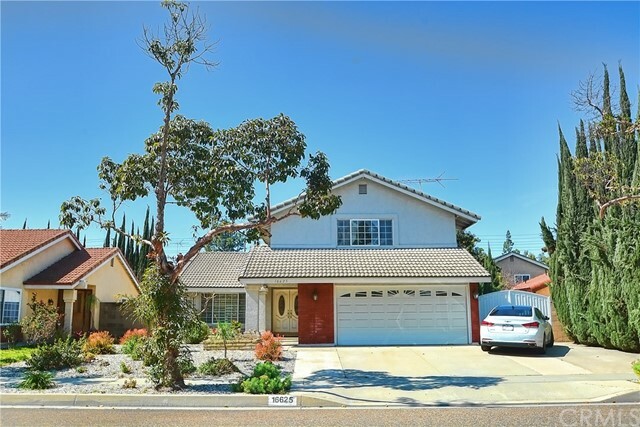 "Unique 4 Bedroom 2 Bath home in prestigious ABC School Districts near Whitney High School. Extended enlarged living room,large family-room with Fireplace. The kitchen is huge with brand new contemporary cabinet and built in new breakfast bar. New recessed lights in Kitchen. Newer heating and copper plumbing, dual paned windows and remodeled bath room." 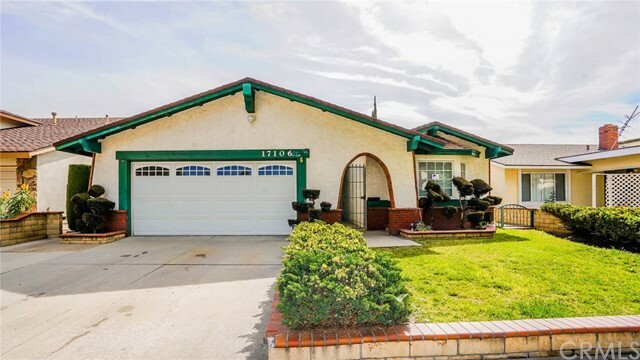 "***LOWEST PRICE/SQFT IN CERRITOS***A fantastic opportunity to create your dream home in family-friendly Cerritos. A town known for its many parks and recreation facilities as well its prime, central location midway between downtown LA and the heart of OC, Cerritos is a wonderful place to call home. And now is your chance! 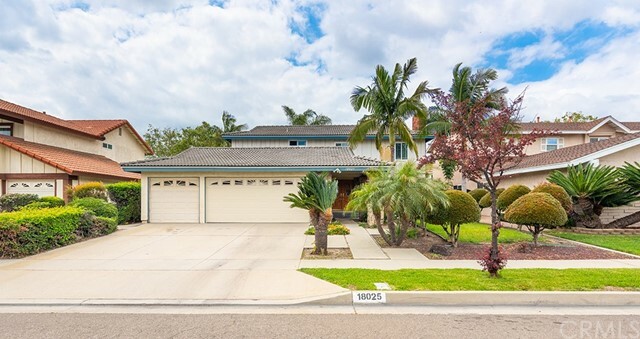 Located within the award-winning ABC Unified School District, this 4 bedroom, 3 bath home boasts 3,200 sq ft of living space perfect for family living. Soaring vaulted ceilings accented with rustic, wood beams, striking wood floors and a wall of windows make the home feel bright and open. 3 bedrooms are upstairs and 1 bedroom and full bath are located on the main floor. The spacious Master suite with double door entry features a walk-in closet and bathroom with double vanity and newer shower and toilet. Backing up to a tree nursery & park, this home is in a prime location! Plus, enjoy all that Cerritos has to offer like its Town Center, an open-air shopping center with a variety of stores and dining options, or the Cerritos Sports Complex and Cerritos Sculpture Garden. Don t miss your chance to create the perfect family home!" "Welcome home to this spacious and welcoming Greenbrook home. This home features six bedrooms and three bathrooms. This home has the much sought after main floor bedroom. Also, upstairs bedroom with wallk-in closet is quite large and would also be suitable for a bonus room. Master bedroom is large and has a walk-in closet that is approximately 10 ft by 10 ft. The fireplace is located in the living room which is open to the formal dining room. The family room is open to the kitchen and the casual dining area which gives a relaxing view to the backyard which is perfect for entertaining family and friends. There is an indoor laundry room for your convenience and central air conditioning. Newer dual pane windows (approx 2015) throughout house except for windows and sliding door in the family room area. The home has a newer roof. There is a walk-in linen closet in the upstairs hallway. The home has an attached garage with direct access. Home is located close to freeways, shopping, parks and schools. Home is located in the ABC School District. This home is just waiting for the new owners to update with their own taste and style." "Beautiful Cerritos 4 bed 3 bath two story home with R.V. parking on Cul-De-Sac street. Solar power(Apprx. $300 per year(20 years leased starting 2015) to SCE $1-$11 per month). Water smart conservative landscaping(3 years). Newly remodeled kitchen with granite countertop. Recessed lightings, stainless appliances. Ceramic tile, liminate wood and carpet floorings.Double door entry, Dual pane energy saving windows, Family room with fireplace. Central air and heating. Cathedral-vaulted ceilings, Large back yard with patio and Lemon tree. Direct access auto roll up garage door. Outdoor storage in side yard." 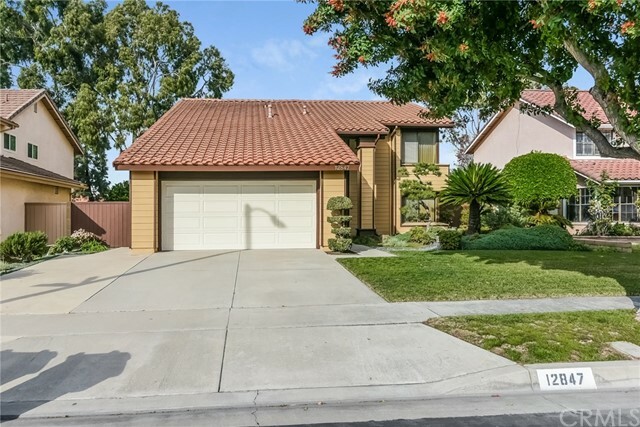 "Beautiful 3-car garage single family home located in a desirable area of Cerritos and the excellent ABC school district . This well-kept home features 4 bedrooms and 2.5 bathrooms. An open floor plan with a nice size living area of 2,268 sq ft. and a nice lot of 6,203 sq. ft. Features Spacious bedrooms, nice size living room, a family room, central A/C and heat, and a nice backyard that is great for entertaining. Excellent location. Near to schools, freeway, transportation, and shopping centers. This one will go fast." "Spectacular 4 bedroom, 2 bathroom family home, completely renovated with upgrades galore! Gracious and light-filled, the 1,531 sq. ft. property boasts fantastic curb appeal, a bright open floorplan, brand new roof, gorgeous new floors, a designer kitchen, and remodeled baths. Enjoy an incredible drive-up experience with an inviting front porch! Once inside, a generous living area with soaring ceilings and fireplace welcome you home. Open-concept kitchen and dining areas are flooded with natural light, showcasing walls of windows that bring the outdoors in. New kitchen cabinets and stainless steel appliances make cooking a breeze! Retreat to the oversized master with ample storage, multiple closets, and an updated en-suite bath. Guest rooms are equally appointed with fresh tiles for a sleek new look. Outside, your private oasis awaits! It comes fully fenced with a massive stone patio and fire pit for the ultimate in outdoor entertaining. Perfect for a move-up buyer or growing family looking for great schools and quick access to the freeway. The tight-knit community only adds to the appeal! Central heat & AC, landscaped and irrigated front and backyard, plus a 2-car garage round out the offering." "TREMENDOUS PRICE REDUCTION!!!! 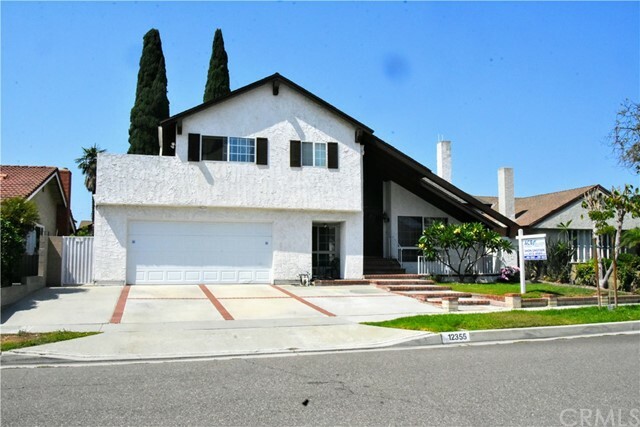 SELLER VERY MOTIVATED Casa GrandeDesirable area in Cerritos Cul-De-Sac. Wonderful 4 Bedroom 3 Bath home with upgrades made through out. Double door entry, step down living room, dining room, separate family room with fireplace. Open and bright kitchen newly paint and upgraded recessed lighting with granite counter tops and huge pantry cabinet. Spacious master bedroom with walk in closet and double sink granite bathroom. Forced air heating and central A/C. Cover patio in back yard. Direct access to 2 car garage. Dryer and washer hookups in garage. New roof now installed. Great functional floor-plan. Close to freeways 91 and 605 and minutes away from shopping centers. This home is a must see!!!" "LOCATION, LOCATION. Cerritos High School District near Carmenita and South Street. 4 Bedroom 2 Bathroom home close to shopping centers and within waling distance to schools. House also boasts an interior location. Beautiful brick work on front and side of home including brick planters. New gates, new windows including an amazing bay window in the front. House has tile and laminate flooring. Electrical panel has been upgraded. Kitchen includes an island, built in pantry including pull-outs, with light cherry cabinets. Canned lighting in the kitchen with stainless appliances. Master bath has been remodeled with travertine. Sprinklers in the front and back yard. This house is a must see and will entertain all offers." 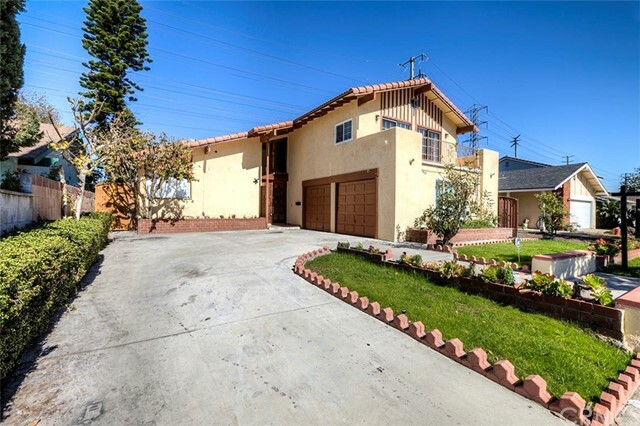 "Don't miss this great home, located in a very good and quiet area of Cerritos with all schools in walking distance. Imagine yourself and your family living in this two level remodeled home, with double door entry and cathedral ceiling and barely new laminate wood floor. Spend more time with your family in a cozy family room with smart control Philips Hue recessed lihgtings and shutter windows, that sits right next to a beautiful and bright kitchen with granite counters. It has a bedroom downstair and a bathroom perfect for your guests or elderly loved ones. Master bedroom and bathroom upstair for your privacy and two bedrooms both have walk-in closets. All bathroom vanity tops / sinks were upgraded. With decent size back yard, partly concrete with grass for kids to play around, built in fire pit and has a nice covered patio with fruit trees for your family to enjoy and share. Enjoy the cool atmosphere at your home with almost brand new AC unit and smart AC control. Close to freeways and establishments. Don't delay and make your dream come true!" 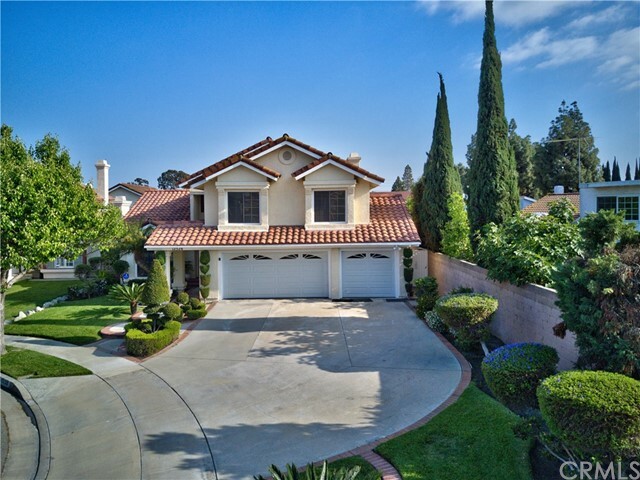 "Beautiful home in the city of Cerritos! This Immaculate 2 Story home has been nicely upgraded and WELL taken care of which offers 5 spacious bedrooms and 4 full baths. The amazing part of this home is that it has 3 bedrooms with its own bathrooms! 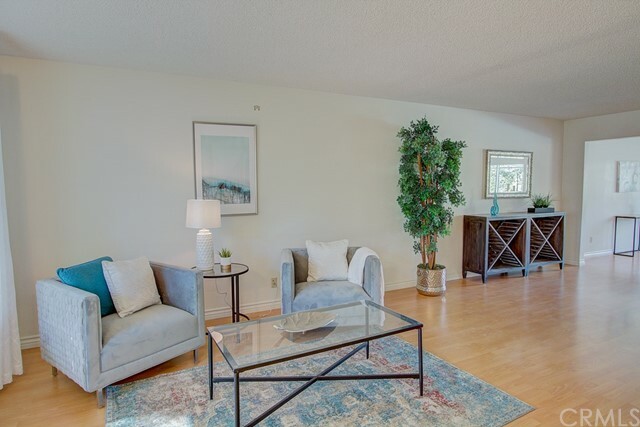 Walk into a beautiful living room with wonderful natural light, laminate wood floors, and custom upgrades. The Family room is a grand room open to the kitchen with vaulted ceilings. Newer kitchen counter tops and cabinets. Down stairs has 3 bedrooms - one of which is a master suite perfect for in-laws or guests. There are two more bedrooms upstairs with their own individual bathrooms. Yes, two master suites upstairs! The home features great curb appeal and is located in a quite street that leads to a Cul De Sac. 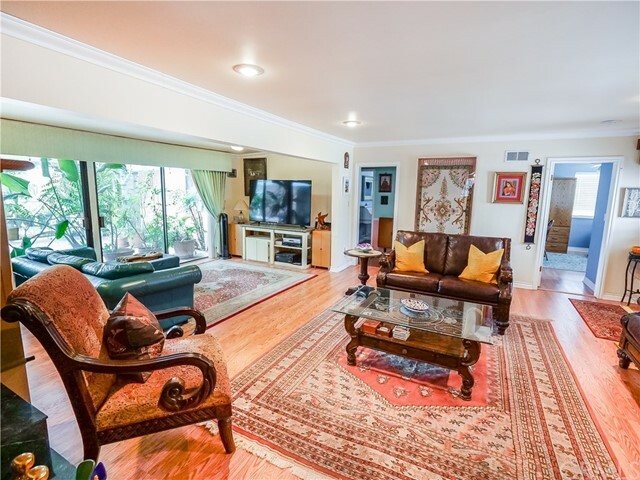 The location of this home is ideal to all the major entertainment centers that Cerritos has to offer. Not to mention the award winning ABC school district! Close to parks and freeways. Welcome Home to 11133 Gonsalves!"